How to do a breast self-exam. Labor Day weekend – September 4, 2011 – the day that my life changed forever. I found a lump in my breast and I just knew with absolute certainty that it was cancer. Breast cancer does not run in my family, but I still knew it. 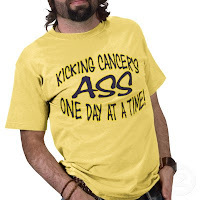 Less than a week later, it was official…this 34-year-old had cancer. Since then, I’ve had a sentinel lymph node biopsy and a port put in my chest. I’ve had blood work, x-rays, bone scans, MRIs, and heart scans. 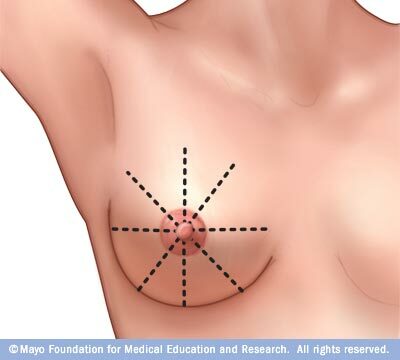 In addition to the breast surgeon, I have seen two plastic surgeons, an oncologist, and a radiation oncologist. Based on the test results, the doctors have told me that I’m healthy as a horse. I could barely stop myself from snorting in disgust. How can you be healthy if you have cancer? I have endured four of the most awful chemotherapy sessions that I could have imagined and nine chemotherapy sessions that have not been all that bad. I have three more chemo sessions ahead of me before completing this part of my treatment. After four weeks to regain some strength and get my immune system up to par, I am having a mastectomy and tissue transfer reconstruction. After four weeks of recovery, I am having 28 sessions of radiation. Throughout the past months, I only briefly wondered “Why ME?” Hell, with one in eight women being diagnosed with breast cancer, why not me? But I have constantly wondered “WHY me?” I do not have the known genetic mutations. Is it the water that I drink? Is it because I don’t eat organic produce? Is it because I use Sweet N Low in my coffee? I’m slowly coming to the realization that I most likely won’t ever know why I got breast cancer. 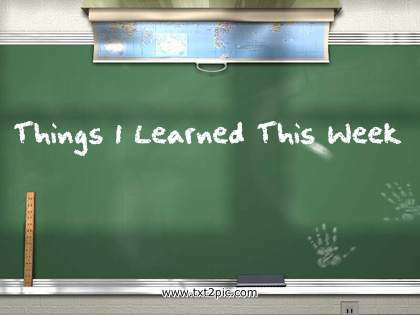 There are many things learned while having breast cancer. Photo: Wonderful World of Nothing. I have learned that I’m stronger than I ever dreamed I could be. I’ve learned to have more good days than bad days. I’ve learned to laugh more often than I cry. I’ve learned that my mother, my father, my sister, my brother, my brother-in-law, and my sister-in-law are my heroes. I’ve learned that doctors and nurses can be absolutely amazing and they have every intention of saving my life. I’ve learned that it’s okay to sleep and rest. I’ve learned that it’s okay not to go to the gym five days a week. I’ve learned that I don’t look half-bad bald. I’ve learned to always wear lipstick, eyeliner, and earrings when I leave the house. I’ve learned that my friends are my friends for a reason. I’ve learned that it is possible to have good friends who you have never met or have only just met. I’ve learned to thank God every morning that I open my eyes and get out of bed. Cancer is taking nine months of my life away from me. But I will gladly give up nine months of my life to live. I still need to meet, fall in love with, and marry the man of my dreams. I need to see my niece and nephew grow up. I need to go to Florida to see the Phillies during Spring Training. I need to go to Ireland. I need to pay forward all of the love, kindness, generosity, and support that I’ve received in the past five months. I will continue to fight. I will live. Melissa Gollnick has a Bachelor of Arts degree in English from York College of Pennsylvania. She has been working at a private detective agency for the past eleven years and, no, it's not as interesting as it sounds. Melissa enjoys spending time with her family and friends, baseball, reading, and watching old episodes of Beverly Hills 90210. Casa DeFrias thanks Melissa for her heartfelt post—and for her bravery in fighting the good fight against breast cancer! Post script: Sadly, Melissa passed away on January 31, 2013. This was especially hard for me, as we'd known each other since elementary school. Much love to her family. Wonderful, wonderful, wonderful, Melissa. Thank you so much for sharing. I started crying when I got to, "I still need to..." You deserve to do ALL of those things! I love you girl! You are amazing, and the way you've handled all of this in stride and continue to keep on keeping on is astounding. Good for you Melis! I may not write or post on fb often but I do think of you everyday! Positive thoughts and prayers to you!!! This was beautiful and you are a fighter. You are in my thoughts daily! Sadly, Melissa Gollnick had passed suddenly on January 31, 2013 as she was just diagnosed with recurrence. This posting by Melissa means so much to us in our TNBC support group. Thanks for the work you doing on your site. God Bless all of you ladies. Love ya Melis... You will forever be missed!